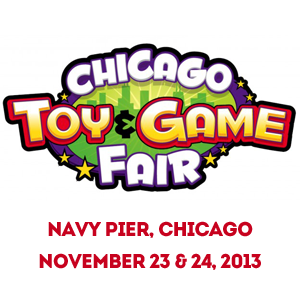 2013 marks the first year that we will exhibiting at Chicago Toy & Game Fair on November 23 & 24 in you guessed it, Chicago, Illinois. Every year, we try to extend our reach and appear at more shows, both trade and public. In just 11 years, ChiTAG has grown into an important stage for the toy industry, and it’s a wonder that we could go this long without being a part of it! 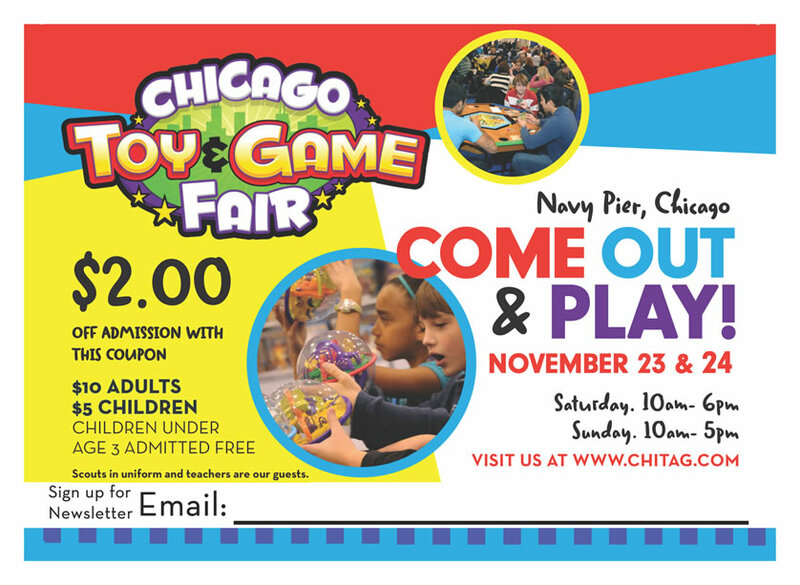 Luckily, this year we have enough staff to spare several during the crucial pre-holiday season to send ‘em over to Chi-Town for the largest toy and game fair open to the public. Attendees will discover the best and latest in playthings from around the world, and have the opportunity to check out exhibits, play in tournaments, meet their favorite characters, and more! ChiTAG is unique in that it also caters to inventors, industry professionals and educators with conferences and an awards ceremony. 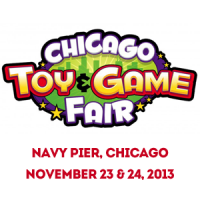 Blue Orange Games will be at booth #510 with special show prices and lots of fun to be had. If you’ll be at the show, don’t miss your chance to impress us with your spotting skills. Every day we will be hosting game tournaments with prizes, of course! Here’s another tip: Say the magic word “Hans” to one of our charming game gurus to get a $1 OFF each game your purchase! 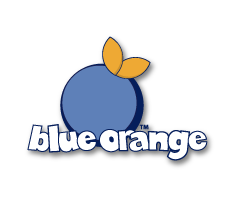 If you don’t know what Hans is all about, you probably need to Like Blue Orange Games to keep you in the loop about these things! Hans it’s the name of the Spot it! Hand, you know the little guy on the game tin. We ran a Facebook contest to name him and Hans won by highest vote. 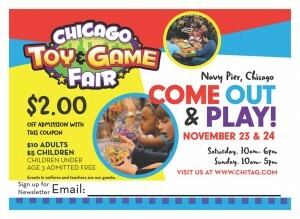 ChiTAG’s Mission: To build community through play by providing opportunities for people of all ages to connect with one another and experience the joy and educational value of traditional play. Learn more about the show and get your tickets today! Toy Fair and ToyFest West 2017 Wrap-Up: The Top 5! My first year there too! We will find you guys!